Paneer is the most loved ingredient in every Indian house hold. Its Indian cottage cheese, used in many gravies. Main thing we have to keep in mind for paneer to keep it soft is keeping the paneer in hot water until added to the dish. Do not heat more time after adding paneer to the dish. 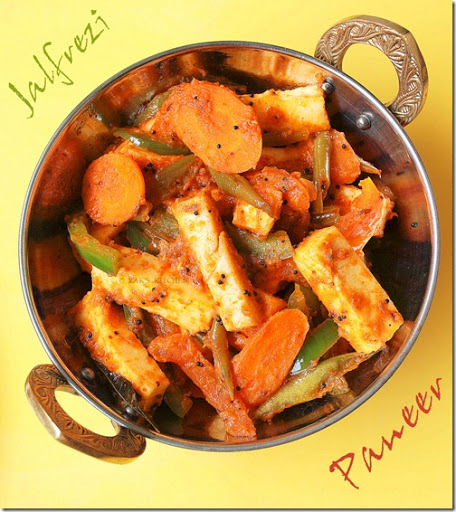 I keep making your kadai paneer again and again on popular demand ! That's nice ! Apart from cooking , what u do in your spare time ? Hi…iam a silent follower f urs..ur meduvada ws my frst try..n it w a a big hit. ..most f ur recipes hav been tried out…n been successful. .
My Pizza yeild one large pizza as we get in the shops. Hi Raks, I have just started following you.. n your recipes are super.. I an a huge paneer lover.. and these paneer dishes look lip smacking..
Paneer cannot absorb the spices to my knowledge, so do not taste paneer alone, have it with the masalas 🙂 If you want, you can cut the paneer into smaller cubes. I assume you are soaking the paneer in hot water before using. I'm a fan of yours too and each time I think of trying something new, I prefer to follow your recipes first and then check out for others……I would request to share paneer65 recipe since I did not find in your recipe index…. I enjoyed making many reciepes from this site. All of them came out well. It is because of the precise measurement helps furnished by ur site.. Thanks so much for making our lives easier..!! 😀 way to go..!